From Captain's Daughter to Army Mom: LeCreuset braised short ribs! ovens but the one piece that's eluded me is the 5-quart braiser in luscious lime! Christmas gifts and I couldn't be happier... Or wait to use it! use my beautiful new lime-green LeCeuset braiser was put on hold! Until last night when I skipped into The Fresh Market on a mission! 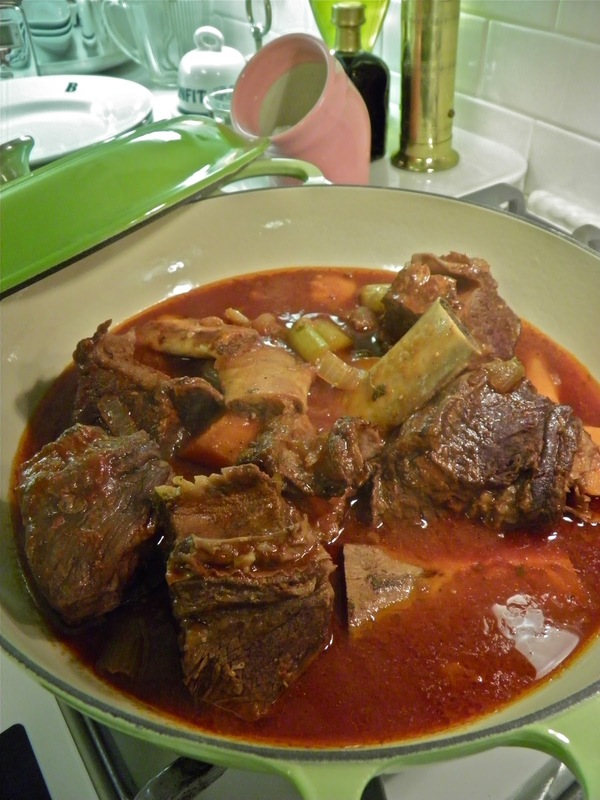 Braised beef short ribs in red wine sauce with veggies! Exactly the perfection I expected from my new LeCreuset braiser! Served over German egg noodles, of course! tree this Christmas... If so, which piece? I just got myself my first piece, a dutch oven in Carribean blue. I can't wait to use it! I am so drooling right now! An amazing dish from an amazing cook. Just popping in to wish you and your family a very happy Christmas Janet. May 2013 be gentle and kind to all of you and know that The Ranger will be remembered along with all others serving away from home during our Grace at Christmas Dinner. It looks delicious. I'm looking forward to more cookie designs. 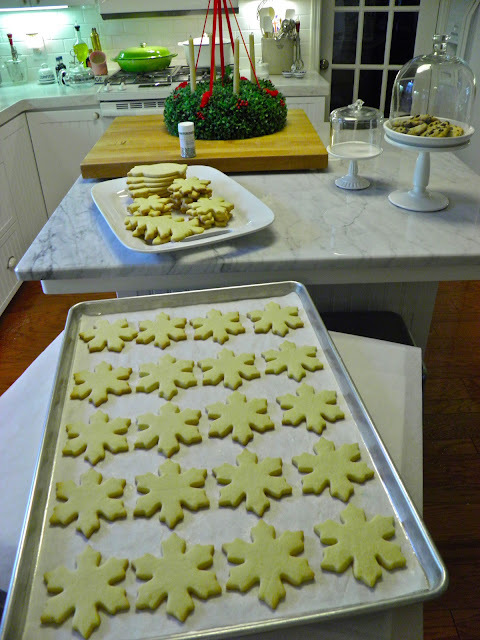 I'm thinking of starting a cookie cutter collection of my own. I actually purchased my son his first piece, Janet! He's a culinary student and asked for the cast iron skillet. In red! It made my shopping pretty easy. I thought of you often these past few days, with my boys home, and knowing how you are missing yours. He's in my prayers. Just catching up in my blog reading, finally! I saw the Le Creuset in the post about your gorgeous cookie cutters that you recently received. I saw the 5qt braised at the outlet recently, I adore it! Love the color. I scored the 3qt braised at Marshall's recently, but I love the look of the 5 qt. I suddenly want every version I can get my hands on. :-). Enjoy! !